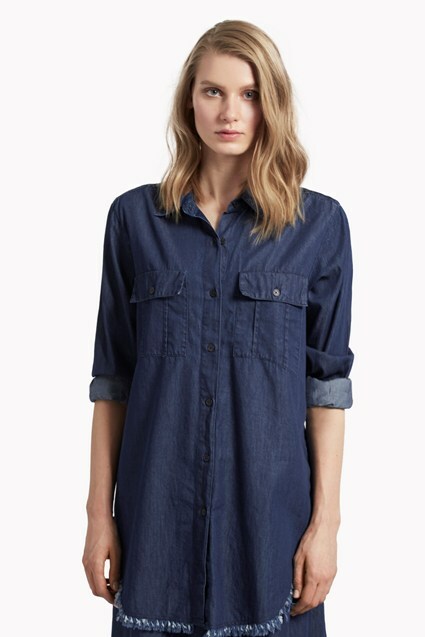 No wardrobe is complete without an ultra-wearable denim shirt dress. This season's spin on the seasonal classic comes with the addition of a drawstring waist to cinch in the dress' intentionally loose silhouette, creating an entirely new silhouette if desired. 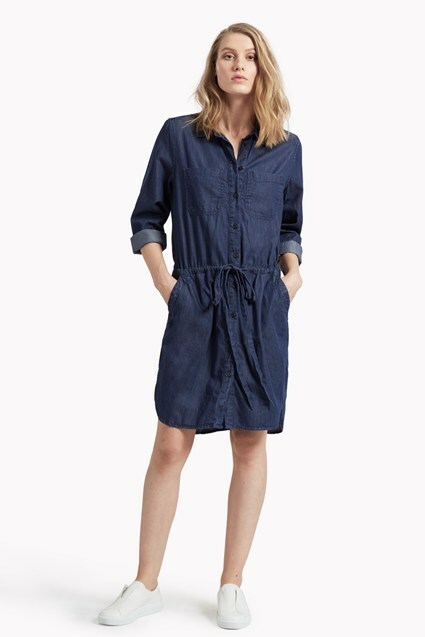 Wear with sandals in the day, unbuttoning the collar and rolling up the sleeves, or transition into the evening with peep-toe booties.